Why Personal Trainers Love Push Ups! Ahhh….the simple push up. How much do I love you? Do you remember when you were in gym class in junior high school and had to do the Presidential Fitness tests? There were some stringent rules as to how you had to accomplish the push ups. You had to come down far enough to have your elbows bend at a 90 degree angle. A metronome was usually used to help you keep pace and if you got out of the pace of the metronome, you were done. If your knees touched at all, then you were done too. The lovely push up was just one of the many feats of strength that you had to perform in order to get a little medal. But how many of you continued doing push ups after junior high school or even high school? Unless you joined the military. Then you did them til’ you puked! Well, that’s what they show in the movies anyway. It’s time to revisit this classic but extremely effective strength building movement. I can hear my clients groaning about this because every single one of them does some type of push up. If they have physical limitations, they do them on the wall. If they don’t have any limitations, well then it’s no holds barred. Yes, my dear, wonderful clients. You are about to figure out my undying love for this exercise. Push ups are in my mind and experience the single best upper body exercise that you can do. Out of all the fancy machines that you see in gyms, out of all the endless ways you can build your upper body, the push up is hands down the best exercise for your upper body. It is also a great total body exercise as well. When you do a push up, many different muscles are being trained. The chest is the obvious primary muscle, but your anterior deltoids and triceps are also being trained. Add in all the muscles that are acting as stabilizers such as your core muscles (abs and lower back) and quads, and you have a complete total body strengthening exercise. Push ups are also a functional movement. Whenever you get down on the ground for whatever reason, it is the push up that will help you easily get back up to your knees or even a standing position. In fact, many seasoned bench press veterans have trouble doing high-rep push up workouts because their secondary and stabilizer muscles are untrained. When you do a bench press, the only muscles that are being trained are the chest muscles, anterior deltoids and triceps. All the stabilizer muscles in your core are not being utilized because you are lying down on a bench which takes over stabilizing your body. Another reason push ups are the best upper body exercise is that they are simple! Anyone can do a push up! If you don’t have the upper body strength yet to do a push up on your toes, you can do them on your knees (and why do they call these “girl” push ups? I have female clients that can do more push ups then a lot of men). By doing push ups on your knees, you will be taking out the quads as stabilizer muscles, but the core muscles are still being activated and you are getting the upper body work. There are Spiderman push ups, push ups off a stability ball, clock push ups, walking push ups, wide push ups, divebomber push ups, star push ups……SOMEBODY STOP ME!!!! 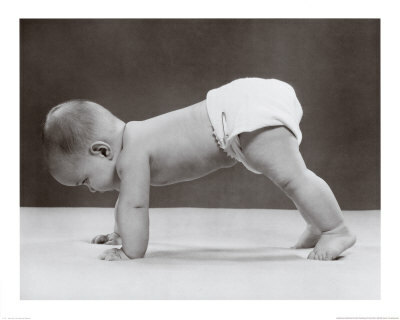 I think it is obvious by now that if there was only one exercise that everyone should be doing it is the push up. Yes, they are hard. Yes, if you were my client, you would join the chorus with my other clients and curse my name. I even have my 70-year-old clients doing them……on their toes! If you are a female (and most of my clients are), then you will get the added satisfaction of showing up your husband, boyfriend, significant other, etc. If fact, a boyfriend of a client of mine decided to join us for a session at one time. I was having my client do plyometric push ups (see the video below) where she would come down from the push up and then spring herself up in the air, hit the ground and do another push up. Her boyfriend thought that he was all that and started showing off. Suffice to say, the next day he could hardly move. That humbled him a bit. You need to do push ups. There’s no way around it. Get off the machines, drop down and start doing them. You’ll thank me later. I’m with T-Rex . . .